How would a potential merger affect Big Four supermarket giants Asda and Sainsbury’s? May 02, 2018, 8:40 a.m. Earlier this week grocery giants Asda and Sainsbury’s sent shockwaves through the retail industry as they announced merger plans. If the proposal is successful, the new organisation could overtake Tesco as the UK’s largest retailer. There are some obstacles to clear before the merger is confirmed of course. The Competition and Markets Authority will have to review the deal and there are also questions about how the move would work in practical terms. But from a consumer perspective, YouGov BrandIndex shows that there is already some crossover of current customers of both supermarkets. Of those who have shopped at Asda within the past month, 37 per cent say they have also shopped at Sainsbury’s in that time. Among the general public, Sainsbury’s already has relatively strong brand health. Its most recent quality score sits at 44 and purchase consideration at 43. However, its value score is far lower at nine – less than half of Asda’s score (23). 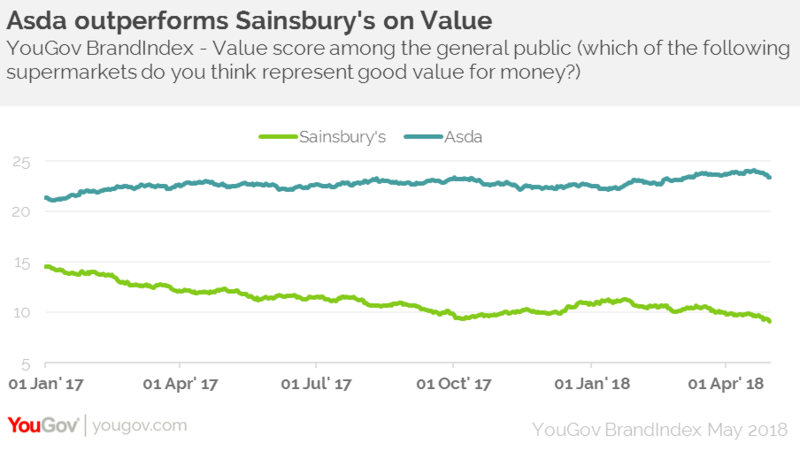 Looking at a long-term analysis of the brands, the data shows that, as Sainsbury’s has seen a gradual decline across several metrics over the past three years, Asda has seen an increase in some. While Sainsbury’s has built its reputation on its quality offering to middle-class shoppers, Asda has been known for everyday low prices. While that remains the case, both have come under pressure from discounters Aldi and Lidl, two brands that have surpassed expectations and gained increased market share. Our data indicates that it is not just those on lower incomes that have been drawn to the German stores. Among those who say they earn at least £50,000 a year, Aldi’s purchase consideration score (whether someone would consider buying from the brand) has climbed from 26 to 37 over the past two years. Despite Sainsbury’s shoppers looking for quality, YouGov Profiles data reinforces the need for a good value offering, with 71 per cent of those who shop in Sainsbury’s and 78 per cent of those who choose Asda saying they are usually looking for the lowest prices when they go shopping. 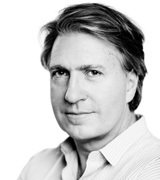 While the merger will need work in terms of the overall brand architecture, there is great potential for the move to work if customers benefit from both companies’ core offering.